These handy washers are made to protect the top of holes from galling or collapsing around studs or bolts. They’re ideal for head bolt holes, mid-motor plates, or any other high-wear area that requires a washer. Easy to install by just oversizing hole and pressing in washer. 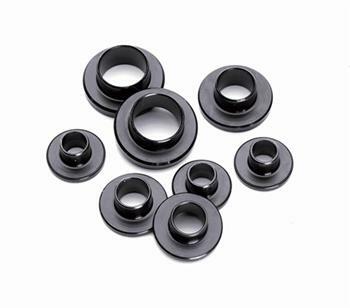 ARP Insert Washers are fully CNC machined from premium thru-hardened 8740 stock.